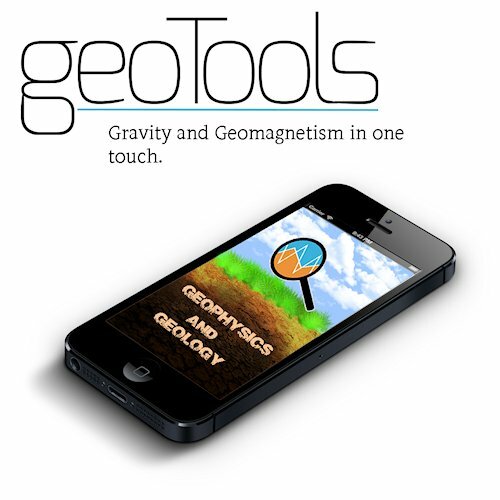 geoTools is an application developed by Alta Resolução to help professionals working in the field of Earth Sciences, and Geology, Geophysics, Cartography, Engineering and Geotechnics. At the moment, the application is available for use in iPhone, iPod Touch and iPad. - Coordinate conversion between the UTM (Universal Transverse Mercator) and geographic projections. The parameters of the gravity field and magnetic field are calculated from the best avaliable global models, detailed below. PLEASE NOTE THAT ALTA RESOLUÇÃO IS NOT RESPONSIBLE FOR THE USE, MISUSE OR DUE, THE INFORMATION PROVIDED BY PROGRAM geoTools. The values calculated with the application showed a high correlation with the parameters measured in all the extensive testing performed by our team, but should not be used for accurate calculations, and should be regarded only as estimates of the magnitudes. The coordinate conversion using the classical conversion formulas and the quantities obtained can be considered to be accurate depending on the accuracy of the input and the reference coordinate system chosen. The parameters associated with the field of gravity are calculated from the data of geopotential model EIGEN-GL04C complete to degree and order 360 (Forste et al., 2006 - Geophysical Research Abstracts, Vol. 8, 03462) (details). World Magnetic Model the WWM2010 site. The parameters of the geomagnetic field are calculated from the World Magnetic Model provided by NOAA (National Oceanic and Atmospheric Administration). Model information can be obtained at WWM2010 site. The coordinate conversion between geographical <-> UTM systems uses the classic formulas of transformation Transverse Mercator (Gauss-Kruger type) with zones 6° wide, which are used in Brazilian topographic maps. A good description of UTM system can be found, e.g., in this link provided by the Department of Engineering and Cartographics of UERJ. One can convert between geographic coordinate systems <-> UTM datums for Hayford/1924/Córrego Alegre, SAD-69/Chuá and WGS-84. Alta Resolução put a lot of effort to provide a modern and practical application that has the potential to help professionals working in areas related to Earth Sciences and Engineering. If you have any comments, questions or suggestions, please send us an email to altaresolucao@altaresolucao.com.br. We will be happy to receive your message!